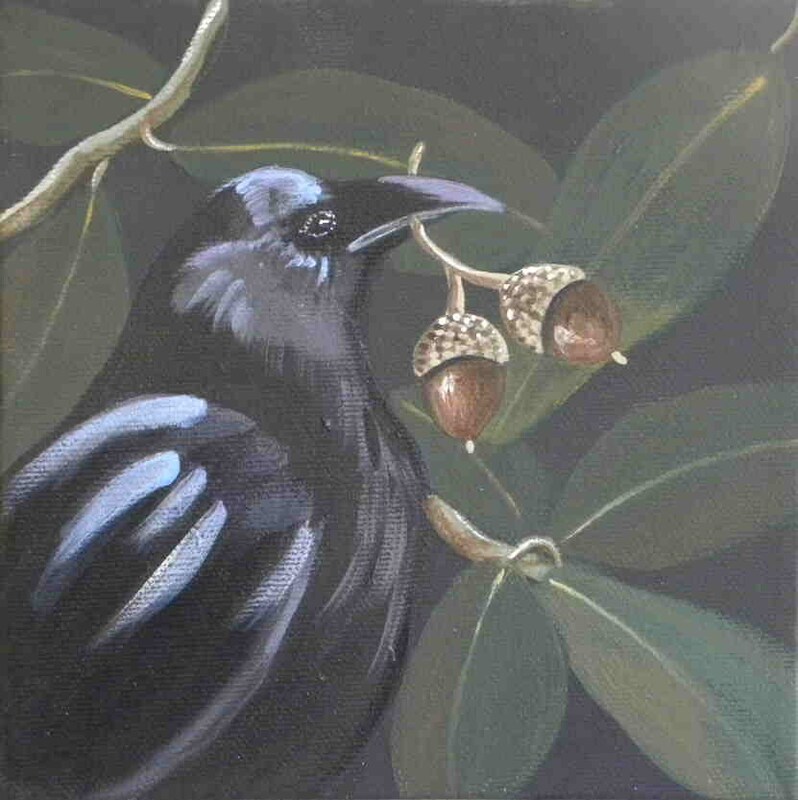 This is a copy of a commissioned painting I did for a friend who loves ravens and acorns. Each notecard comes with a matching envelope in a cello sleeve and measures approx 4'x5". Thanks for such fast shipping, too!